Vintage, simple, and antique. Filling the gap between local artisans and the online marketplace, Village Jewelry is known for its handcrafted jewelry and unbelievable prices. From minimalistic to chunky pieces of jewelry, Vintage Jewelry has something for everyone. Along with Village Jewelry’s line of antiques, they also offer custom-made pieces. 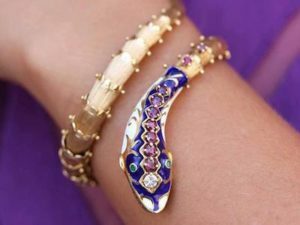 With their developed skill in jewelry-making and your vision for a piece, great results are inevitable.